There’s much you can see and do on your first visit to Ubud. This is often considered Bali’s artistic and cultural heartland, popular for it lush upland nature scenes. Valleys covered in green rice terraces serve as a backdrop to many art galleries and old temples and palaces. Most of the popular spots are within easy walking distance of the town hub, which allows for a quick and memorable day trip. In Ubud town centre there’s the Puri Saren Royal Palace. By day, you can visit and admire its Balinese architecture from up close. In the evenings, you can watch traditional Balinese dances on its open stage. Just across the road from the palace is the souvenir shopping haven that is the Ubud Art Market. 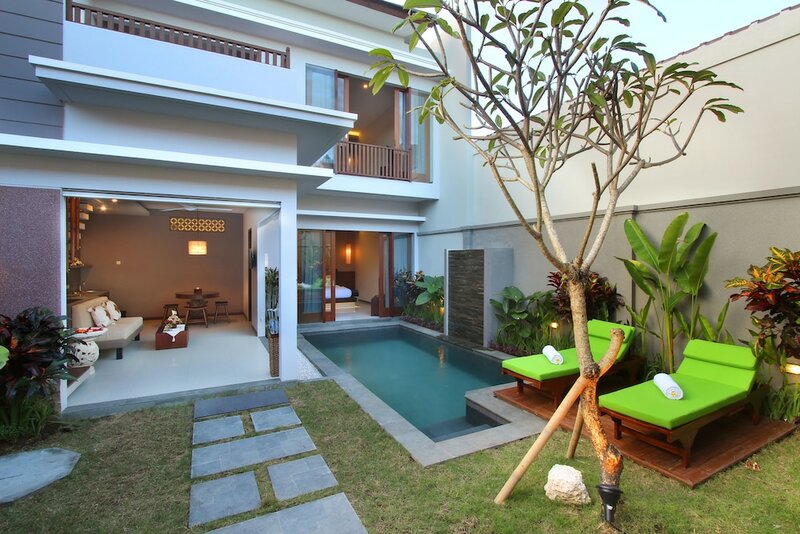 A walk down the boutique-lined Jalan Hanoman leads you to the famous Ubud Monkey Forest. With so many things to see and do, this Ubud survival guide can help you make a manageable plan by narrowing the selection down to just the must-sees. Ubud is famous for its beautiful river valleys and rice terraced landscapes. The main hub is a small highland town, that’s a favourite alternative to Bali’s beaches. It’s more cultured and closer to the island’s classical artists’ villages. It’s a popular destination among yogis and wellbeing practitioners and has a certain hippie vibe. Fine-dining restaurants are found alongside casual cafés. There’s plenty of palatial sites, heritage museums and art galleries for you to explore. Nightlife here though, is very low-key. Ubud central is where to go for its famous wealth of culture, arts and crafts. Travel to the town’s outskirts and you can enjoy scenic panoramas, including the iconic images of cascading rice terraces stretching off into the distance. No trip to area would be complete without seeing these sites, so we very strongly recommend including them in your plan, especially if this is your first time in Ubud. You can strike great bargains in this colourful haven of arts and crafts. There’s Ubud’s bustling art market right in the centre of town. Here, you can browse through endless rows of paintings, carvings, traditional garments and unique knick-knacks. A mix of international designer boutiques and shops further line the main road and its interconnecting side streets. If you want a taste of the local culture and some retail therapy, we suggest including the following places to shop in your itinerary. A visit to Ubud would be incomplete without seeing some its collection of wonderful Balinese temples. Their ancient reliefs and classical architecture are fantastic, and their colourful histories are fascinating to explore. With so many structures in the area, it can be difficult to make sure you see the best around. Be sure to get the most out of your first time in Ubud by visiting these top temples. The restaurant scene in Ubud covers a broad range. It stretches from classy fine-dining establishments to simple local dishes, with a lot of variety in between. Naturally, many establishments serve their outstanding food with amazing views! The following eateries are our absolute favourites in the area. The list includes acclaimed venues offering creative culinary techniques and presentations, along with traditional Balinese recipes. Even though the nightlife is pretty low-key in Ubud, you can still find some great places to drink and party here. After dark, the royal palace comes to life with its cultural night performances. Walk further down Jalan Monkey Forest street and you can stumble upon some modern bar scenes with live music. If you’re looking for places to check out in the evenings during your first time in Ubud, we think the following should be at the top of your list. 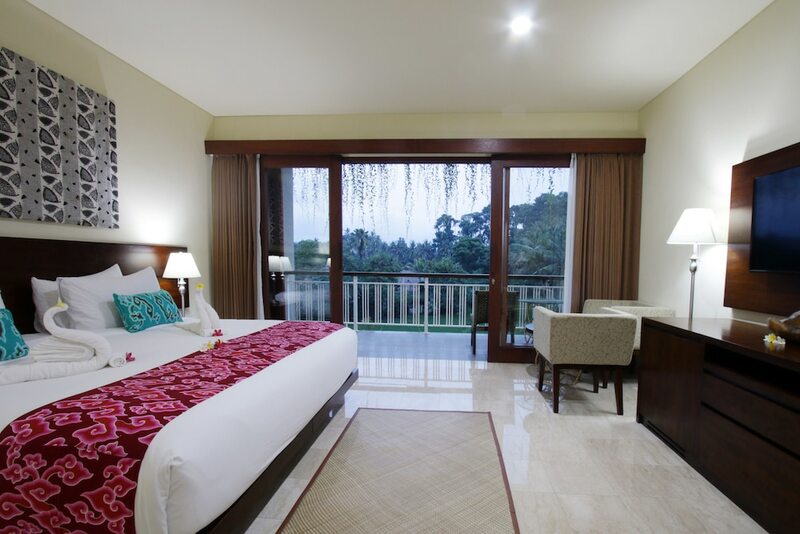 Ubud has many great hotels, ranging from luxury to budget options with plenty in between. Here are some of our favourites, most of which let you stay closer to the vast collection of art galleries, craft shops, museums and excellent restaurants in the heart of Ubud town. These include a luxury hotel, a mid-range and a budget one. While the prices may differ, we believe that these properties all deliver a fantastic stay in this beautiful bit of Bali.